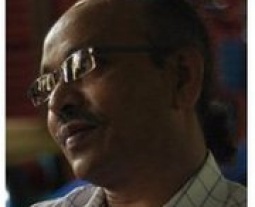 Karun Thapa is a Software & Computer Professional, 3d Animator, Film editor, eMedia Consultant, Audio Visual and eMedia Trainer, Lyricist and Ghazal Writer. He is a lyricist who has recorded about 150 songs including songs from albums and films. He has written over 500 Nepali Ghazal since 30 years and is about to publish a Ghazal Collection called 'Batasale chota lagda'.